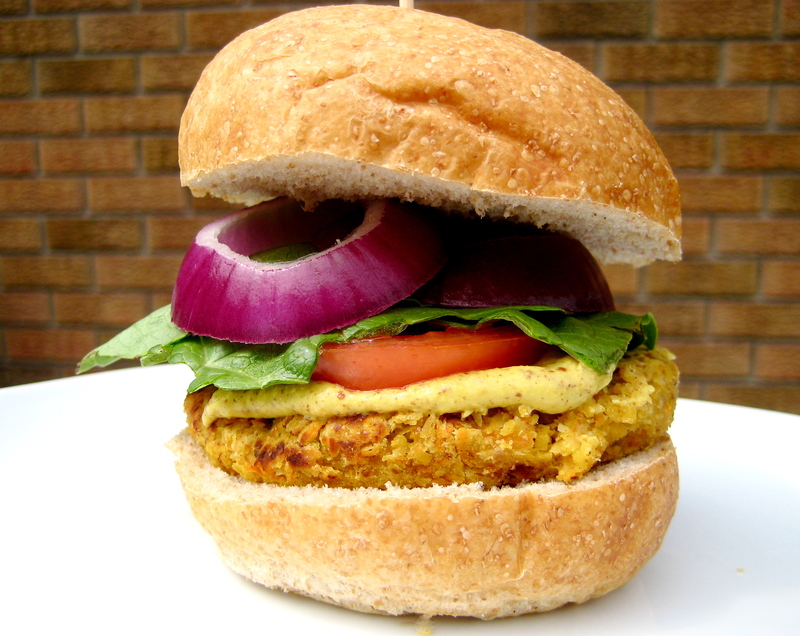 Because everyone loves hummus, these chickpea burgers are a favourite alternative for something new between the bun. Because they are delicate, they need to be panfried, but for that bbq flavor, re-heat them on a grill tray or piece of foil before serving. Line a plate with waxed paper. Mix together the warm water and flaxmeal. Set aside for 5 minutes, until thickened. Put the chickpeas, carrot, onion, garlic, cumin, lemon juice, tahini, flour, zest, and a pinch of salt and pepper in the food processor. Pulse until the mixture is chunky but sticks together if you press it in your hand. If you find that the mixture is getting too smooth but the ingredients aren’t well mixed, use a spoon to incorporate them. Adjust seasonings to taste. Use your hands to form the mixture into 6 patties, putting each one on the waxed paper. Refrigerate for 45 minutes. Heat a stainless steel or nonstick skillet over medium heat. Add about 1 tablespoon of the oil, making sure the bottom of the skillet is covered. Once the oil is hot, cook patties, 3 at a time (depending on the size of your skillet), for about 5 to 8 minutes per side, until crisp and browned. Carefully flip the burger, adding more oil beforehand if necessary, and continue to cook until browned on the other side and warmed through, about 5 more minutes. Serve immediately or let cool and store leftovers in the refrigerator or freezer. If you find it too wet (maybe depending on the brand of chickpeas or whether you cook them yourself), you can add more chickpea flour. 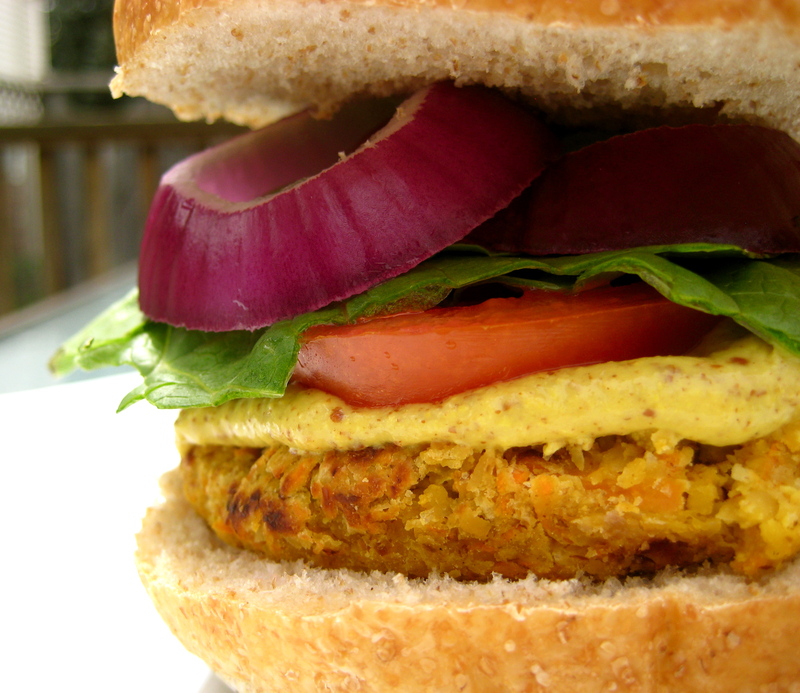 This one IS a little more delicate, because it is a little smoother like a falafel, but it does stick together!